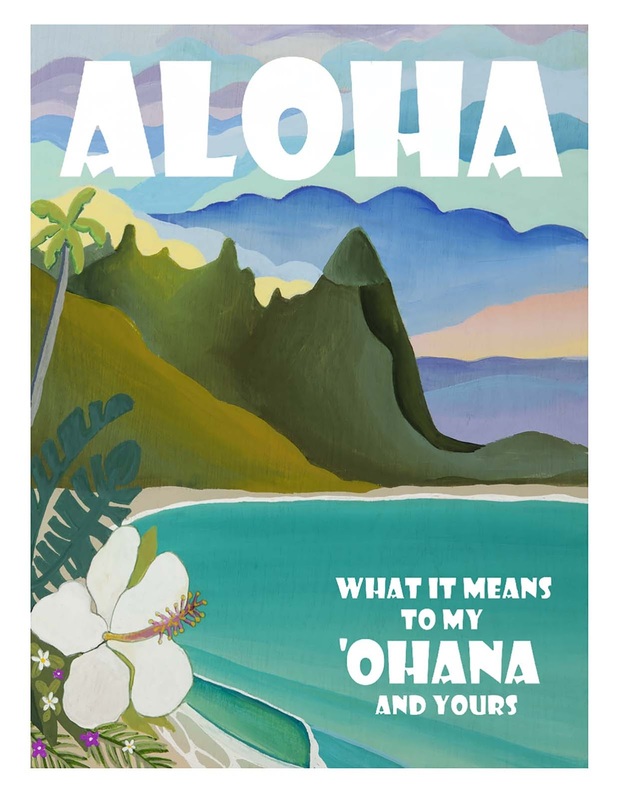 Aloha Publishing Hawaii proudly announces the launch of the second edition of its popular book Aloha: What It Means to My ‘Ohana and Yours. Hawaii Mom Blog will randomly select three lucky winners to receive a copy of this beautifully illustrated 48-page activity book, written by Kauai-based coauthors Lahela Keikilaʻauʻoʻwakanahele Chandler Correa and Ann Hettinger. While the book may be especially entertaining for children, Aloha aims to spread the important, universal message for readers of all ages and from all places. The word “aloha” may have become diluted from everyday use, but for Correa and Hettinger, it is a way of life that they feel must be kept alive in its fullness, especially during a time when the society feels divided. The book’s first edition was released August 2016 and sold nearly 5,000 copies, prompting the need for an updated second edition. The book has also proven to be a wonderful learning tool for teachers, with its interactive lessons of Hawai‘i’s life, customs, culture and heritage, while asking thought-provoking questions for children. To learn more about Aloha: What It Means To My ‘Ohana and Yours or to purchase your own copy, visit www.alohapublishinghawaii.com. You can also visit Aloha Publishing Hawaii’s Facebookpage. Win: Three lucky winners will each receive a copy of Aloha: What It Means to My `Ohana and Yours! To enter, comment on what Aloha means to you. The deadline for entries is November 30, 2017 11:59pm HST. If you submitted an eligible entry and it is chosen by random.org as the winner, you will be notified via email on or about December 1, 2017 (make sure your email address is in your profile or comment and be sure to check your junk/spam, etc. folders) and will have 3 days to respond. I Like Hawaii Mom Blog on Facebook (susan chew). Aloha means welcome, you are family. I follow you on Bloglovin as Jaque Richards. I follow on Instagram as sottovocerocks. Aloha means hello to me. Aloha to me means hello and goodbye. Aloha means hello and goodbye.